Have a single bill for both natural gas and electricity, now that's convenient! How does the Open Flex price compare to the regulated rate? The regulated rate for energy is determined by regulated rate providers and approved by the Alberta Utilities Commission every month. Regulated rate providers purchase a majority of their energy requirements in advance and the rate being offered to you reflects the cost to do this. 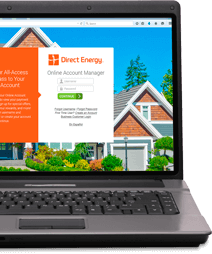 The Open Flex price is based on the current market price and includes a fee for buying gas and electricity on your behalf, which means you are paying near current market prices for your energy. The Flow-Through Price is based on price per kilowatt hour plus the Flow-Through Fee of 2.5¢/kWh. * Based on the average calculation for Edmonton and Calgary. For calculation details and your specific Flow-Through-Fee, please refer to your Terms and Conditions.